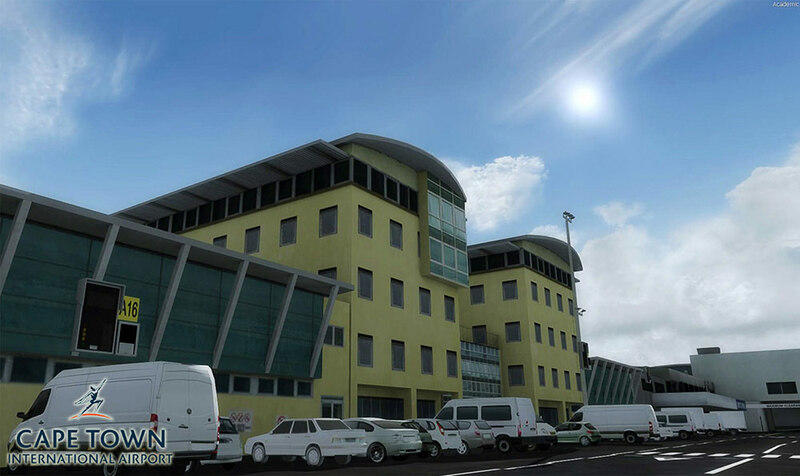 Informations sur le produit "FSDG - Cape Town"
Cape Town - Welcome to the Cape of Good Hope! 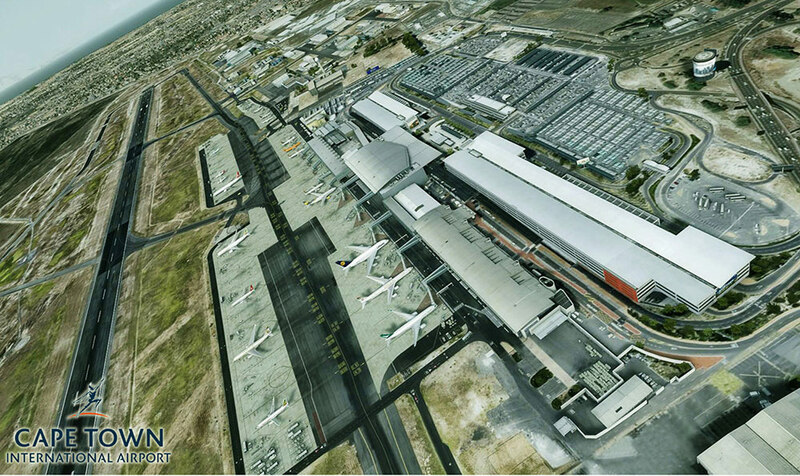 At the southern tip of the African continent lies one of its busiest airports - Cape Town International Airport. 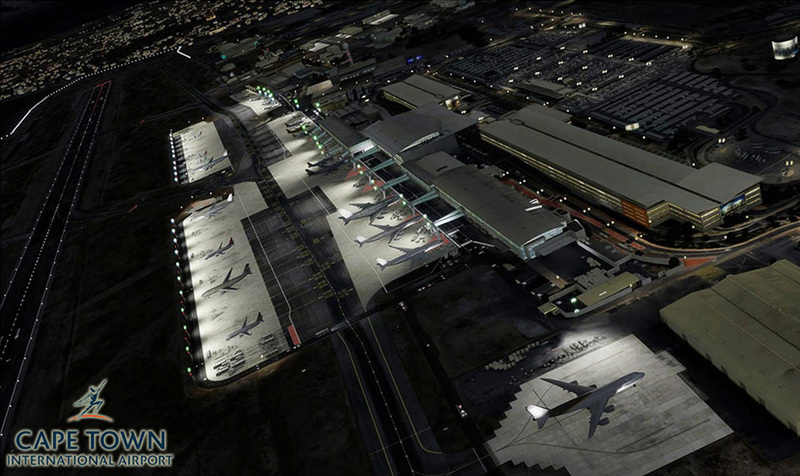 With more than 4 million passengers and 100,000 aircraft movements per year it serves as a main hub for the southern hemisphere. 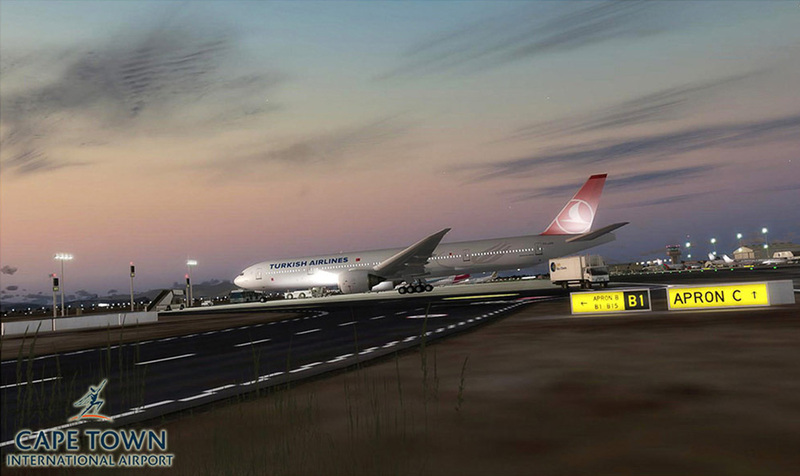 Don't miss out this outstanding scenery! 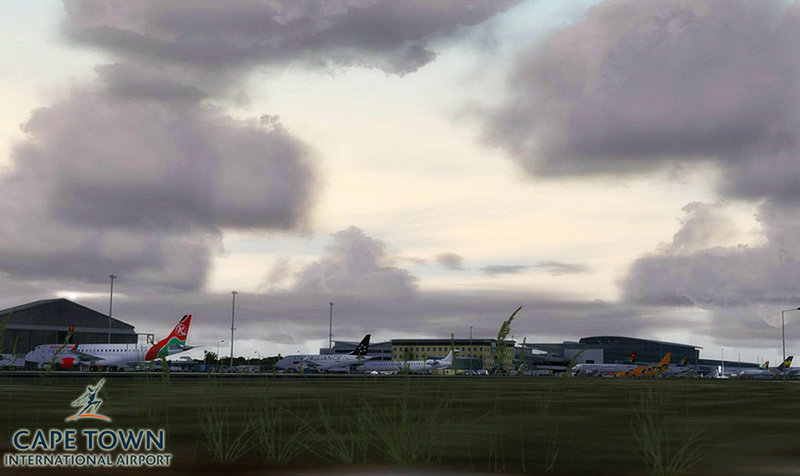 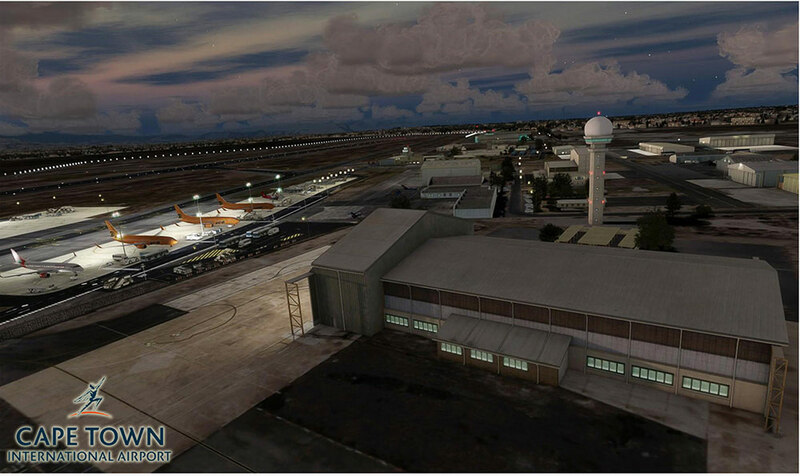 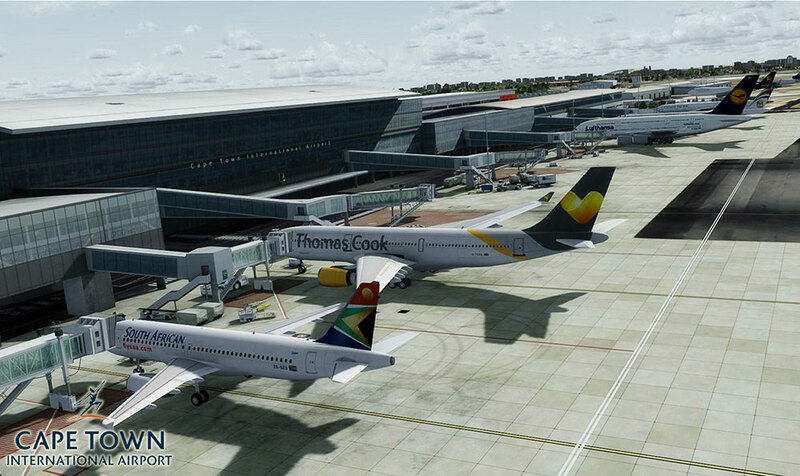 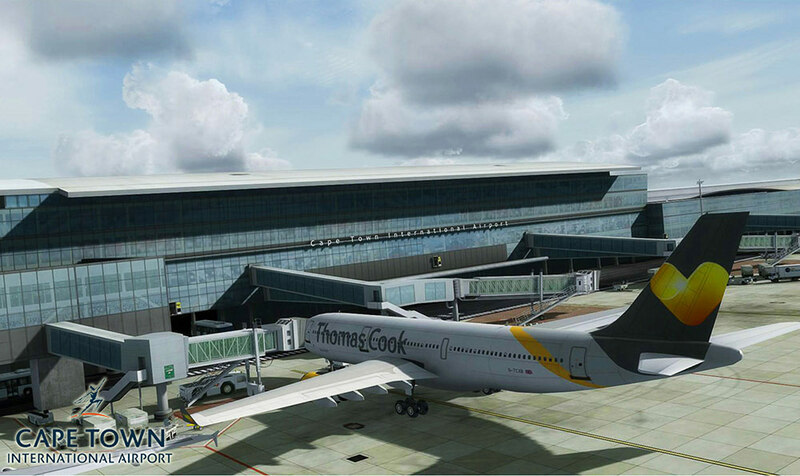 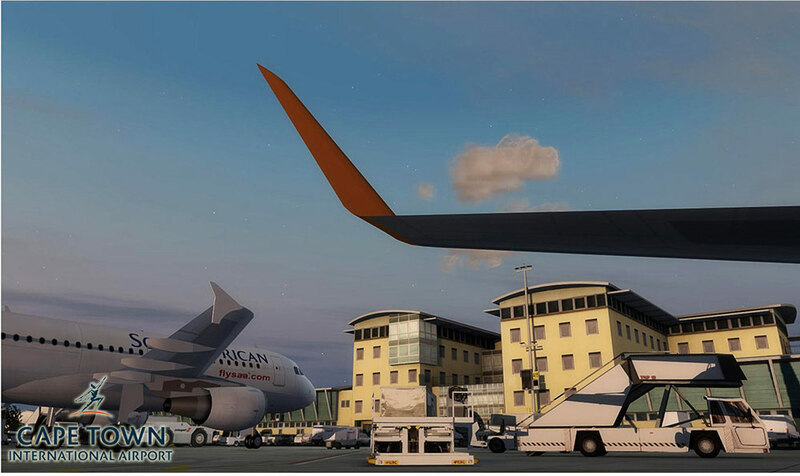 The free SODE link is highly recommended, it adds animated jetways for SODE & GSX and an animated gate to the GA area. 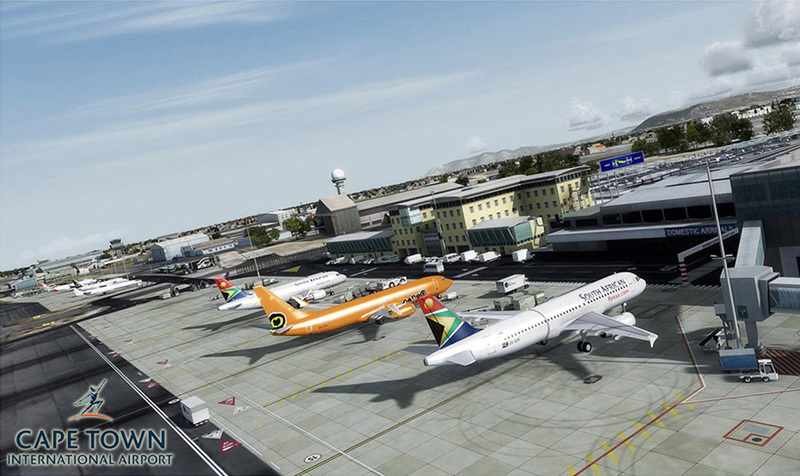 Liens supplémentaires vers "FSDG - Cape Town"